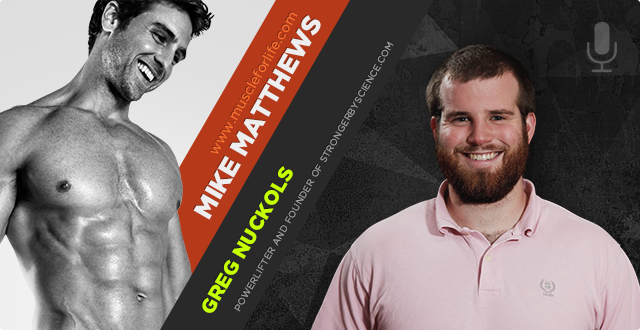 There aren’t very many people in the fitness space who I think everyone should follow, and my guest on this episode, Greg Nuckols, is one of those people. I’ve been reading his work for about a year now and really appreciate what he’s doing. When I have a question, his site, Stronger by Science, is one of the first places I check for an answer before venturing off into literature. As you can guess, I was really excited to get him on the podcast to talk about what he specializes in: the science of getting bigger and stronger. And specifically, I wanted Greg to address a hot topic these days, and that’s the relationship between gaining strength and size. In other words, does maximizing muscle strength also maximize muscle size, or as many people say, is strength training rather poor for making your muscles bigger. I get asked about this all the time and there’s a lot of misinformation out there, so I thought this would be a worthy discussion, and as expected, Greg knocks it out of the park. 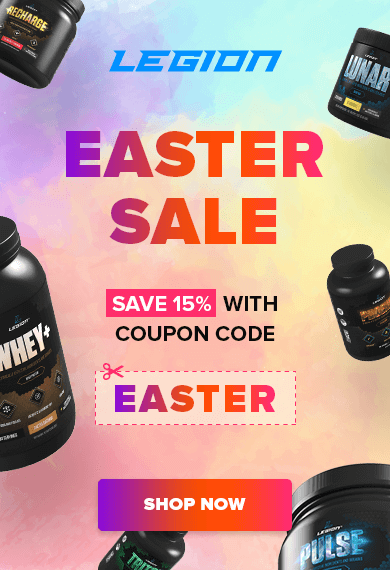 As you’ll see, he breaks down the relationship between strength and muscle growth and gives simple, practical insights that you can immediately apply to your training to get bigger and stronger, faster. Greg also touches on a number of other interesting topics such as how motor learning affects our progression in the gym, how important adequate sleep is to muscle growth, how to manage personal expectations and break through plateaus, and more. So, if you want to get stronger and gain muscle as quickly and enjoyable as possible, then I think you’re going to like this interview. 2:39 – What is the relationship of building muscle mass to building strength? Is there a ratio? How does it change from beginners to veterans? 9:07 – How do our motor skills influence our strength gains? 20:19 – What advice do you have for beginners on gaining full body strength? 25:11 – What advice do you have for intermediate and advanced lifters to continue building muscle mass and strength? 27:51 – How does your sleeping habits affect your muscle mass? 32:59 – What are some psychology studies on how your personal expectations affect the results of your strength? 40:49 – What advice do you have for intermediate and advanced lifters who have hit a plateau on building muscle mass and strength? 43:59 – How can people connect with you and find your research? 5:15 – What is the relationship of building muscle mass to building strength? Is there a ratio? How does it change from beginners to veterans? 11:43 – How do our motor skills influence our strength gains? 22:55 – What advice do you have for beginners on gaining full body strength? 27:47 – What advice do you have for intermediate and advanced lifters to continue building muscle mass and strength? 30:27 – How does your sleeping habits affect your muscle mass? 35:35 – What are some psychology studies on how your personal expectations affect the results of your strength? 43:25 – What advice do you have for intermediate and advanced lifters who have hit a plateau on building muscle mass and strength? 46:35 – How can people connect with you and find your research?